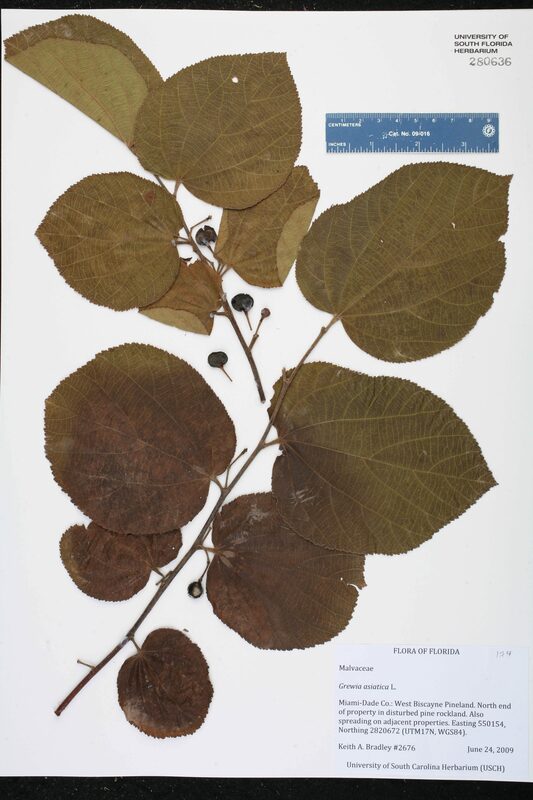 Currently Accepted Name: Grewia asiatica L.
Locality: USA. Florida. Miami-Dade Co.: N end of West Biscayne Pineland. Habitat: Disturbed pine rockland; also spreading on adjacent properties.